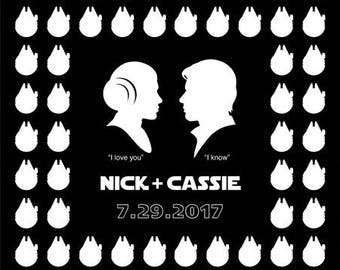 Announcement Featuring custom map prints, personalized silhouette of over 200 dog breeds and other animals, wedding art, kitchen art and more. All original designs by artist Miller Sye. Featuring custom map prints, personalized silhouette of over 200 dog breeds and other animals, wedding art, kitchen art and more. All original designs by artist Miller Sye. One evening, two rabbits met for a drink in New York City and a few years later, a bunny was born. The bunny's father named her Miller after his favorite author Henry Miller. She grew up in the city he wrote so much about, eating organic carrots, digging holes, chewing on things she shouldn't and hopping from school to school. Finally, she ended up at Pratt Institute in Brooklyn where she studied bunny painting. After college, Miller traveled to other bunny worlds, worked various bunny jobs, and chewed on more things she shouldn't. She was never satisfied until she returned to New York City and started making art again.